Taiyuan Simis Precision Casting Co., main products for A356.2 aluminum ingots, aluminum gravity casting, aluminum investment casting, stainless steel Precision casting. Annual output of 12,000 tons A356.2 aluminum ingot, mainly supply the largest automotive wheel manufacturer - Citic Dicastal Wheel Manufacturing Company; 500 tons annual output of aluminum gravity casting, all products exported to the United States, Britain, Japan and other countries. The material of our aluminum investment casting is A356. We provide various heat treating services for aluminum hardening and softening, including T2 annealing, T4 solution treatment and natural aging, T6 solution treatment and artificial aging, and T61 solution quenching and aging. The castings are widely used in mining, metallurgy, shipbuilding, machinery, automobile manufacturing, petrochemical and other industries. 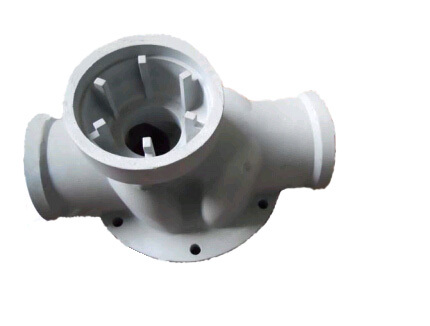 Produced by casting weight from 0.01kg - 30kg, casting maximum size up to 300 mm.